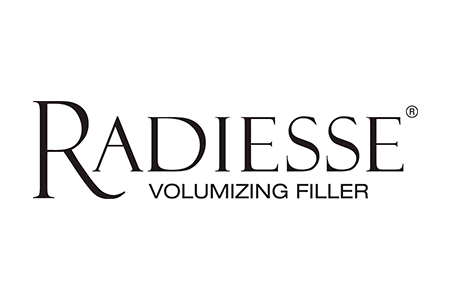 Radiesse® is a long lasting dermal filler that restores any lost volume in the mid and lower face. Radiesse® is composed of calcium hydroxylapatite, a synthetic form of a mineral found in teeth and bones. It stimulates collagen production for longer lasting results and will continue to stimulate collagen over time. Radiesse® can give an instant lift to your cheeks and treat moderate to severe wrinkles and folds. Radiesse® has also been FDA-approved to replace volume loss in the back of the hands. RADIESSE® can be injected in the following areas: smile lines (nasolabial folds), marionette lines, oral commissures (corners of the mouth), pre-jowl fold, chin wrinkles, and hands. Immediately upon injection, RADIESSE® restores volume to smooth out the signs of aging. The natural-looking results may last up to one year or more in many patients. How is a treatment with RADIESSE® performed? Is it painful? RADIESSE® is the only dermal filler available composed of calcium-based microspheres, and has been shown to stimulate the natural production of collagen, for results that may last up to one year or more in many patients.